It was unbelievable to see that two young graduate students from Stanford University became famous for developing the world’s most fastest and reliable search engine. Those two students were Larry Page and Sergey Brin. They had initially disagreed with each other on most things during their first meeting. However their friendship did not end because of the disagreement but in fact they collaborated a year later on a project called BackRub. BackRub was the ancestor of Google that ran for over a year on the servers of Stanford University before it was closed down because it was been using too much bandwidth for the university to handle. It did not make Larry and Sergey to end the project. The two friends changed the name of the search engine to Google in an effort to continue the operation of the search engine. The name basically originated from a play on a mathematical term called “googol”. This was a number represented by numeral 1 followed by 100 zeros. The name was perfect for what Larry and Sergey had in their minds as they wanted a search engine with the ability to organize unlimited quantity of information on the internet. Larry and Sergey needed to find funds to support the costs of buying and running their own servers because they had lost the use of Stanford’s servers. Luck was on their side and lucky for the whole world, a white knight came to their rescue. The co-founder of Sun Microsystems, Andy Bechtolsheim presented them a check for $100,000 to an entity which did not exist yet. The two friends had quickly setup a shop in the garage of Susan Wojcicki who was the sister-in-law of Sergey Brin. The garage was located at 232 Santa Margarita – Menlo Park. They filed for incorporation in California in September 1998. Soon they opened a bank account in the new company’s name and deposited Andy’s check. Craig Silverstein was their first employee who was their fellow Computer Science graduate student at Stanford University. 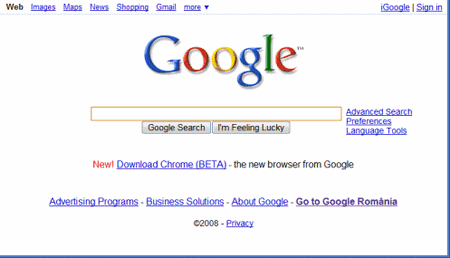 The success story started and by December, Google was named by PC Magazine as one of the Top 100 Web Sites for 1998. Google’s success started and within a short time of only one year, it had become one of the fastest-growing Silicon Valley of the 20th century. More employees were hired by them including a company dog and a chief for nearly 40 employees. A year later, Google won the Webby Awards; they forged a partnership with Yahoo, launched Adwords service and Google toolbar. It was hailed as the world’s largest search engine when it had hit the billion-URL index. In the coming few years, the search engine index of Google grew to 3 billion, many features were launched like image and news and many Google products like Google Appliance and Froogle were offered. They expanded globally by releasing Google in 26 languages and built offices outside the US. Google moved its entire operation to the new “Googleplex” later in March 2004. It was their new headquarters located at Mountain View in California. This gave a campus like environment to more than 800 employees of Google. Google has come a long way from the garage office and the crude mechanism of BackRub. They are best known for its “Do No Evil” slogan and are well-respected among industry insiders. Having nearly strength of thousand employees under their wing, Google continues to develop and improve how people experience the Internet. It doesn’t seem to be ending anytime soon but seems to grow.